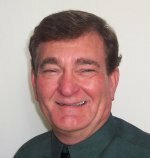 Richard Sikes has over 45 years in the electrical industry. He began his career with Houston Lighting and Power. He has worked in many areas of the industry that include electrical usage investigation, power plant operations and system operation. Richard has 16 years in power plant operations involving 6 different power plant locations. Richard has 25 years experience in System Operations serving as a System Controller for control area functions with generation, transmission and interchange responsibilities as well as supervising in the same area. Richard's experience in Network Coordination included responsibility for the interface between System Engineering, Transmission Construction, Substation Construction, Substation Operations, Underground, Supervisory Maintenance Personnel and Telecommunications as far as safety and reliability concerning the interconnection and work projects. He spent 7 years as a Trainer and Procedure Writer, which involved 30 new System Operators and continuing education for established System Operators. Richard finished his utility career as a Senior System Coordinator over Training and New System Operator Tool Development and Implementation. Richard was instrumental in the development of a training simulator at Center Point Energy prior to his retirement. Richard has participated in many NERC and Regional activities. He served on the ERCOT Regional Seminar Oversight Committee for 15 years and is the past chairman of the NERC Certification Examination Working Group. He has participated in writing procedures and manuals for the operational arena of interconnected grids including the development of the ERCOT Basic Fundamentals Manual. His formal training includes an AASBA-Management and Development and a Certificate of Technology in the same curriculum. Through numerous formal training classes and publications, Richard has studied organizational behaviors and the psychology of various approaches to the climate of the work place.